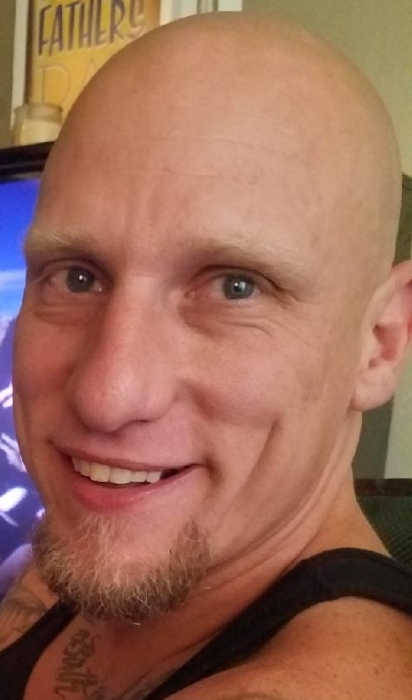 Boyd ~ Kristofer Joe Price, 40, a carpenter, went to be with our Lord Wednesday, August 1, 2018 in Fort Worth. Funeral is 11:00 a.m. Wednesday, August 8, 2018 at Hawkins Funeral Home Chapel in Boyd with burial in Pleasant Grove Cemetery #1 in Decatur. Family will receive friends 6-8 p.m. Tuesday at the funeral home. Rev. Mark Autry will officiate. Pallbearers are Kristian Price, Eric Evans, Matthew Adkison, Bradley Hugins, Jimmy Behymer, Dustin Coffer, John Stanford, Tom Stafford, Dean Garrett, and Michael Bone. Kristofer was born April 23, 1978 to Edward and Trudy Jane "T. J." (Fagan) Price in Fort Worth. He was a lifelong resident of Wise Co. He was preceded in death by Edward and Donna Price, Trudy Jane "T.J." (Fagan) Gary; and his grandparents. Those left behind to cherish his memory are his son, Kristian Price of Rhome; his daughter, Kimberly Price of Rhome; his fiancé, Penny Saylor of Garland; his sisters, Crystal Price and her daughters Chloe and Camille Shaw of Boyd, Lana Simpson of Anaconda, Montana, Robyn Smith and husband Duane of Denison, and Darla Auldridge of Henderson; his brother, Paul Griffin and wife Kristi of Alvord; his aunt, Pam Fagan and husband Bill of Denison; his stepdad, Richard Gary of Oklahoma City, Oklahoma; numerous nieces, nephews, and a host of friends.